St. Bernard Books was established by Clayton Lee and a friend in 1993 as a Catholic book retailer. Clayton now runs the business with his wife, Jenny. In September, 2003, C.I. 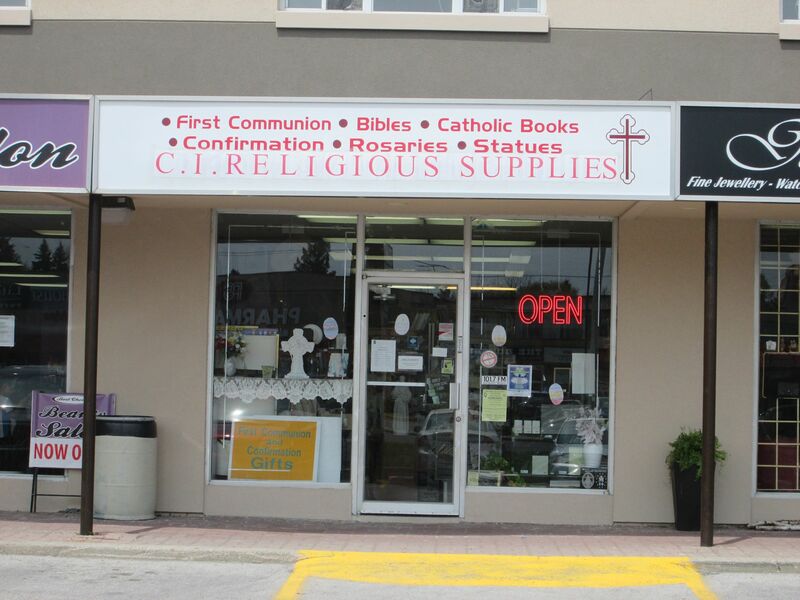 Religious Supplies, a brick and mortar store in Toronto was purchased. We now sell a wide variety of religious items. St. Bernard Books carries TAN, Ignatius Press, Basilica Press, Catholic Answers, Catholic Book Publishing, Librairie Mediaspaul, Christianica Center, St. Paul Books and Media, Christendom Press, Sophia Institute Press, Scepter Publishers as well as many others too numerous to mention. We also carry some titles from Harper Collins, Random House and Spence Publishing (which is not a publisher of Catholic books generally, but they carry very good conservative books). We have many good Catholic children’s books, books about the Blessed Virgin Mary, the saints, the Sacraments, the popes, St. Joseph, colouring books, as well as many encyclicals and other church documents. New articles will be added on a regular basis until most or all the 1680 titles (there are over 1000 other titles not listed on this site that are carried by St. Bernard Books) are listed under Titles, Categories and Authors. At the moment the books are listed alphabetically under Titles. A few categories are present also and many more are to be added soon. The listing under Authors will come after that. So please bookmark this page and visit often to see the new (and old) titles that will be added. The 1600 titles (88% of them in stock all the time) are mostly books, but there are now a few audio and video tapes, as well as some Gregorian chant CD’s.